Edinburgh Castle. Both the wedding ceremony and reception were held in the Queen Anne Building. Tracy held a hand tie of hot pink hydrangea with black willow tendrils. Instead or normal pew ends, Tracy wanted tall single candlestands with candles and a sphere of hot pink hydrangea positioned at the end of the pews. Also, 2 x tall black candlestands with candles and a full lush arrangement of pink hydrangea and greenery with black willow tendrils, positioned at either end of the aisle. Tall black flute vases with full lush arrangements of hot pink hydrangea and black willow. Lots of tealights surrounding the base of the vase along with different height cylinder vases with a hot pink hydrangea stem, black willow and a large floating candle inside the vase. Some of the images below were very kindly supplied by Tracy and David’s photographer – Tony Marsh Photography. Hello, just want to thank you for doing such a good job. The flowers were absolutely amazing! Really appreciate it, you have made us the talk of the town!! 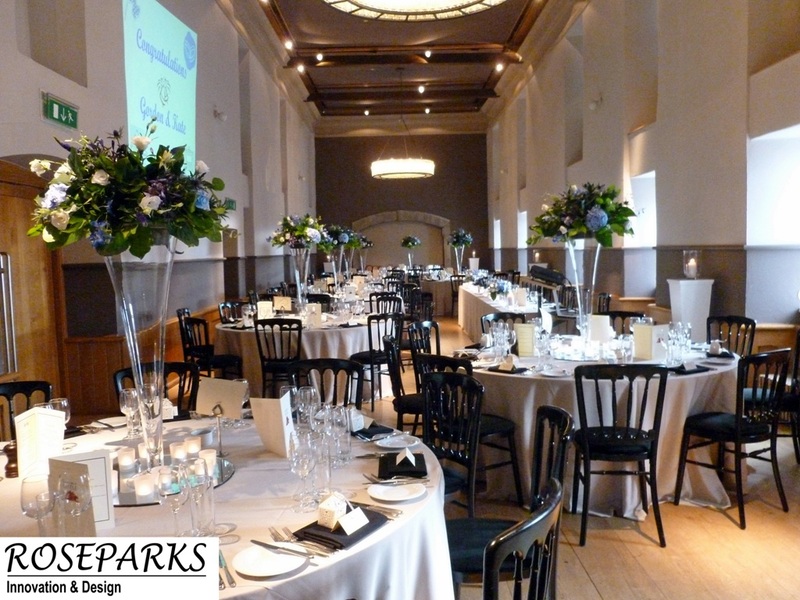 Small event held in the Queen Anne Building in Edinburgh Castle. Simple but effective use of cylinder vases with floating candles and lovely white phalanopsis orchid plants. Tall lily vases with a lush, loose arrangement of seasonal flowers including gerberas and orchids with greenery. Little pots of flowers to match and tealights surrounded the base of the display. We decorated occasional tables for this event held in the Jacobite Room at Edinburgh Castle. Edinburgh Castle is throwing open its doors to prospective wedding couples to view the wonderful facilities they can offer. Come along and see us there – we will be happy to discuss any aspect of your weddings flowers. 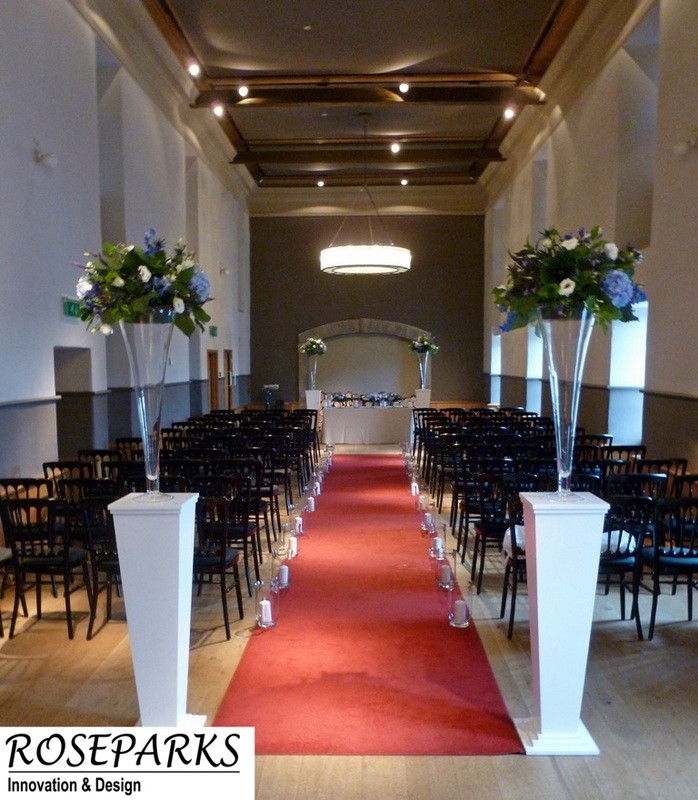 Florists Edinburgh – Roseparks for choice, service and innovation. Providing the very best in wedding & event flowers and innovation in our new Wedding Moodboard App. Roseparks is a totally independent family run company.